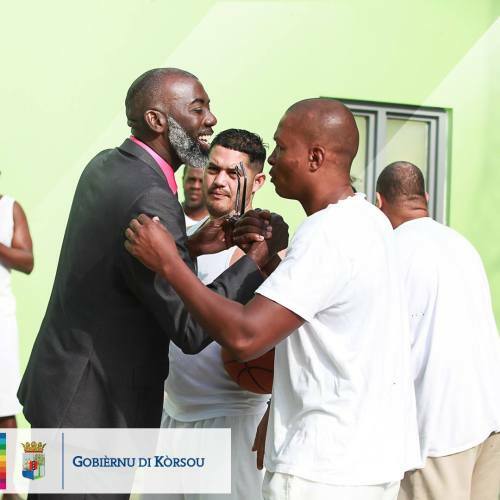 WILLEMSTAD – Prime Minister Gilmar Pisas, who is also the Minister of Justice, recently visited the Sentro di Detenshon i Korekshon Korsou (SDKK), which is the Curaçao prison, to see for himself what the situation at the facility for both the prisoners and the guards. 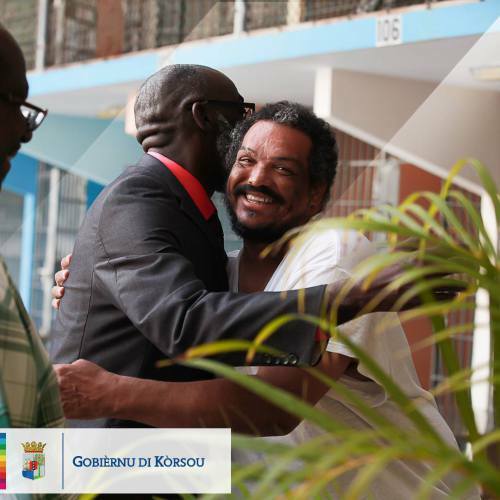 Premier Pisas indicated that he someone who is open to talking to everybody and that is why he took the time to listen to the various points raised by prisoners and guards in order to improve the functioning of the prison as a whole. 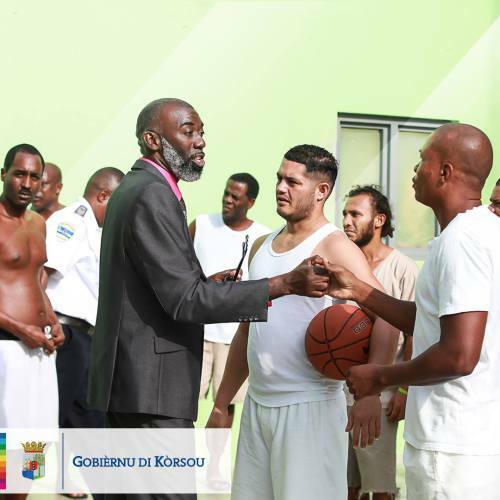 The Prime Minister was heavily criticized on social media for the way he appeared in the pictures with the prisoners. According to various reactions, he was very amicable with the prisoners. Pisas has been appointed Prime Minister by the former Premier of Curaçao Gerrit Schotte after Cabinet Koeiman lost the majority in Parliament. Schotte himself cannot be Prime Minister since last year he was convicted by the Court of Justice to three years in prison for corruption, bribery, forgery and money laundering. His appeal case will be treated in a few weeks.